A few weeks back I learned about a really cool update. 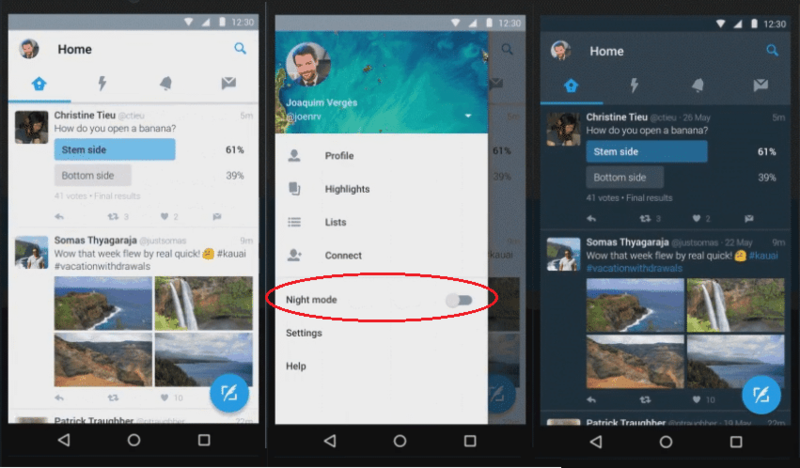 Twitter now allows Android users to activate a ‘Night Mode‘ by selecting the relevant option in the left side slider menu. It’s super easy to use and darkens the screen. It’s less harsh on the eyes and I can’t get over how much better it makes my experience. 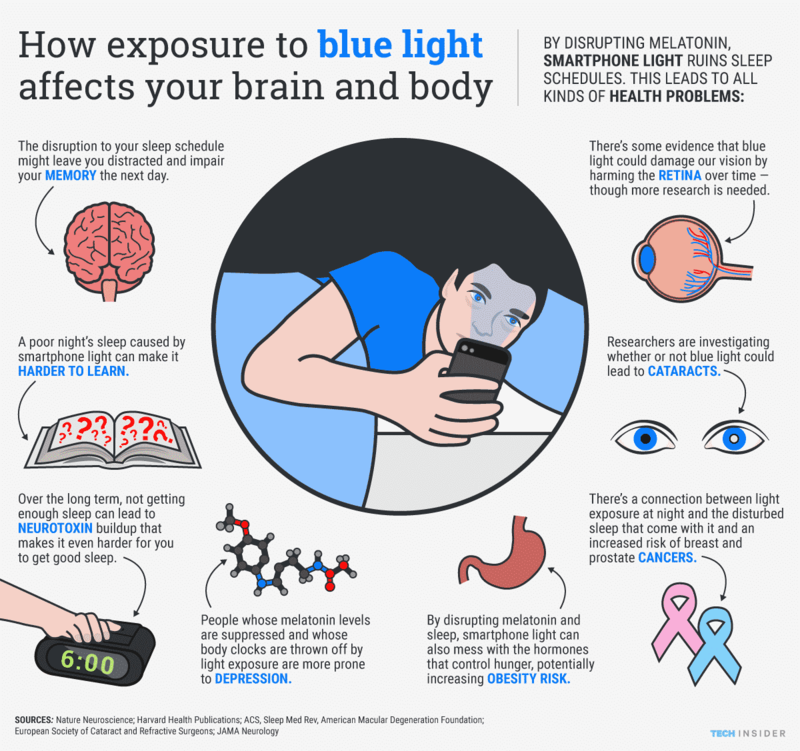 Since most of my interactions are during the evening (time zones and such), my brain gets confused by the blue light produced by my smartphone screen. Seriously, that stuff is like the sun (according to my eyeballs) so it messes with my sleep. It’s harder for me to fall asleep if I check Twitter in bed. Don’t believe me? Well, here’s an infographic…because that’s what the internet does…create infographics to prove the most minute points in life. Blue light is still a thing, even with the night mode but this new feature helps reduce the impact. I’ve been using this for a few weeks now and I must say that it makes my life better. For one, I don’t accidentally wake up my sleeping partner just because I want to check out a tweet I got during the night. Twitter night mode: helping save my relationship, one evening at a time! The only thing that could be a bit cooler is if this night mode would stop automatically depending on the hour. If it’s 2 p.m., I think I can handle day mode but….as often…I’m too lazy to switch back. Using iOS? We have no clue when that update is coming to you guys. Sorry! Next Post SXO: Search Experience Optimization. SEO experts love users too!